MashinMedia is a fledgling service out of India. Though it has some usability issues that could sort themselves out with time, it also offers some excellent low-budget logos at an exceptionally competitive price. With stunning designs, great prices and simple to use features, MashinMedia is an Indian, fairly new contest design site. The site showcases remarkable designers, offering services at a fraction of the market price. Despite the site’s foreign language home page, English support lines and features make the site accessible to English speaking customers. 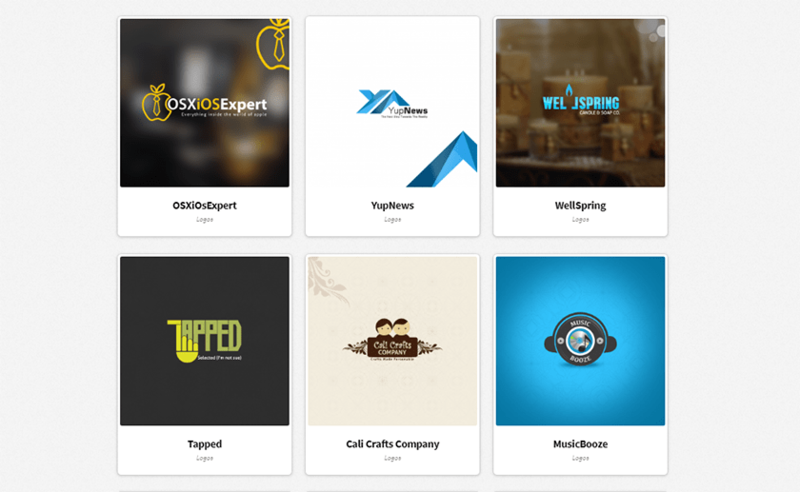 MashinMedia are one design contest site you want to keep an eye on. 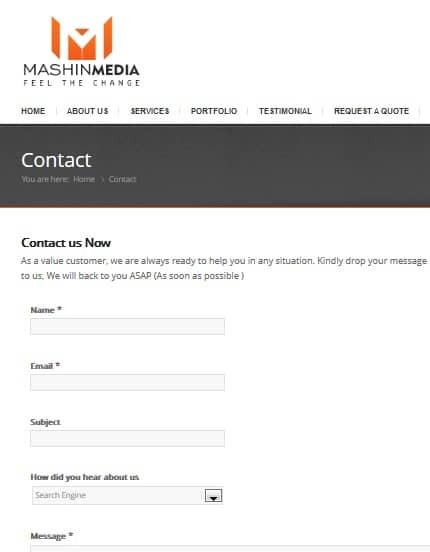 What does MashinMedia offer? Our review has the answer. Make no mistake, MashinMedia’s logos aren’t the most sophisticated in the market. However, their design fees are very reasonable and come in a range of clean, modern and smart looking logos, of variable quality levels and prices. If you own a small business, and you’re seeking a design for your website and product range, MashinMedia is for you. For a relatively short brief with a strong preference for open questions, the MashinMedia order form manages to have a surprising amount of specific clauses. Though it’s missing an attribute list to help you choose your logo’s feel, considering MashinMedia’s commitment to modernism, this isn’t really a problem – you know in advance what you’re going to get. MashinMedia is a simple service with simple features – that is to say, virtually none. Though I can’t really fault an in-house designer service for having limited features (this isn’t a community, after all), I wish the website had put a bit more effort into fleshing out what they do have. This mostly refers to the testimonial page, which might work better if MashinMedia had posted the relevant logos next to each review. All that being said, it’s important to remember the this is still a new service and they have every chance of improving with time. Like we said, MashinMedia is an India-based company, which probably explains why their English wording is a bit off. They’ve also made some quirky choices in regards to content organization, especially when it comes to the super long Logo Design page and its clipart-like caricatures. Though It’s easy to be put off by these things I would suggest you stick it out – do that and you’ll realize the rest of the website both looks great and ultimately offers extremely easy navigation. After you choose a package, the website will take you to a single-page form with a built-in brief. From there you’ll be transferred to the Paypal website to complete your order. It’s all pretty straightforward, really, except for the aforementioned language barrier which makes some of the form questions a bit awkward – though never too hard to understand. It looks like the first thing MashinMedia did when they opened their website was set up both a Twitter and a Facebook account, which already gives them some connectivity points. Unfortunately, I wasn’t crazy about the fact that they don’t offer phone support or have an extensive FAQ (though considering the simplicity of their service there isn’t that much they can say). At the same time their email response was pretty great – so you’ll definitely be getting the answers you need. MashinMedia’s prices are unbeatable and their packages (even their cheapest option) come with innumerable revisions, good turnaround time, satisfaction guarantee and a money back guarantee. The difference between the 3 packages offered lays in the number of design concepts you can propose, and the number of revisions. The Economic plan also includes a free Business card design- which is a really nice plus if you don’t have a business card already. MashinMedia can be a bit confusing. On the one hand, it has the polished look of a professional design firm. On the other, some details (and especially the copy) could make you feel cautious. But take a look at their logos if the style appeals to you, remember it’s unlikely you’ll find such quality for such low-cost. Does MashinMedia suit your needs? Go ahead and check it out.